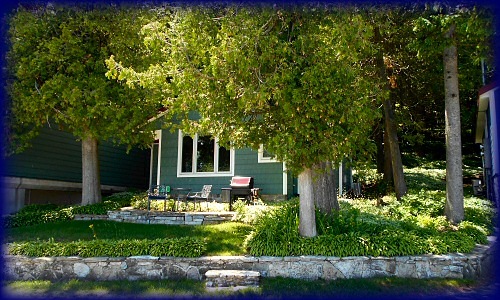 This one bedroom cottage is snuggled against the bluff and features a large living room with beamed cathedral ceiling and a gas fireplace. 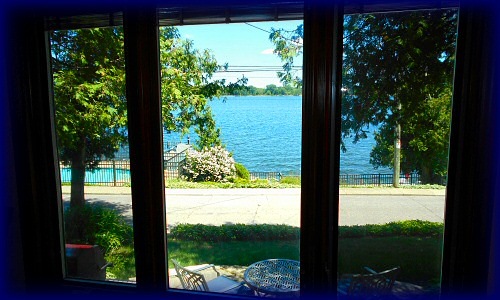 The view is gorgeous, whether from your patio or the living areas. 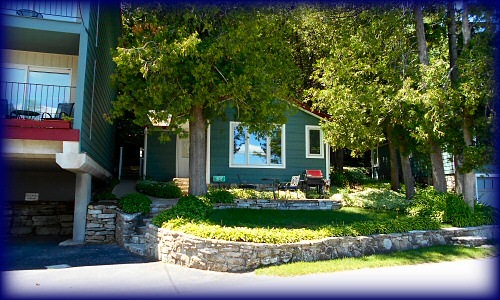 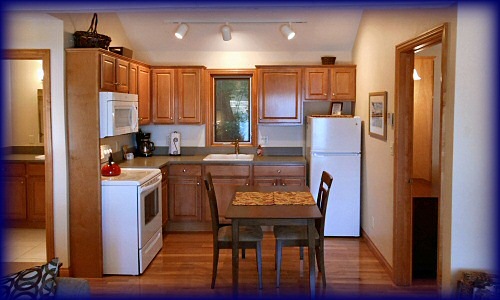 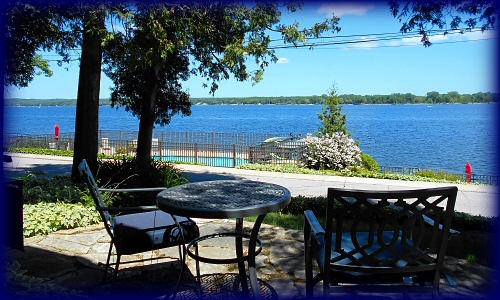 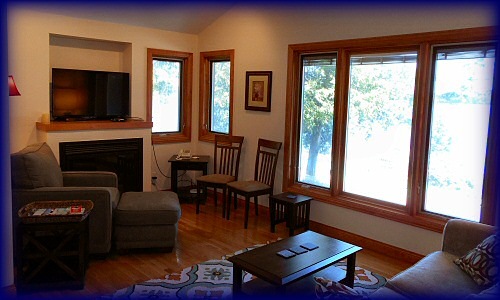 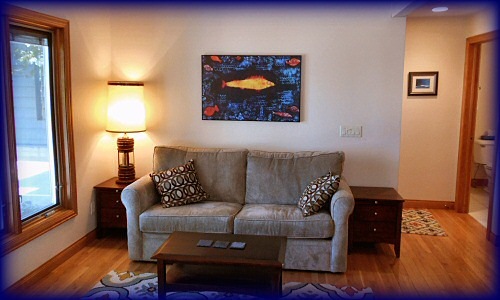 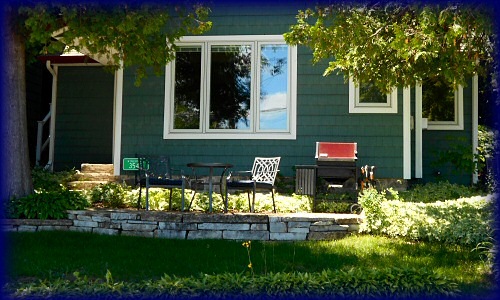 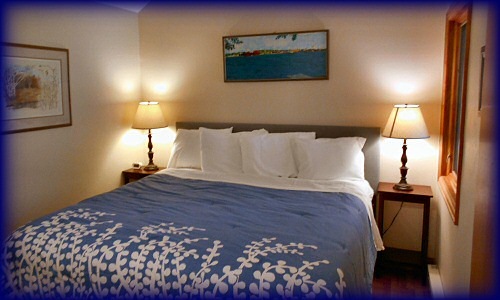 A real north woods atmosphere in a comfortable and well appointed cottage.